Thanks to the team at NASA Johnson Space Center and the Seeker Program, led by lead engineer Christopher Radke, we will finally see additive manufactured parts flying in space on the free flying autonomous robots Seeker and Kenobi. The Seeker program will test the robotic free flying robots that will fly in space around spacecrafts to monitor and inspect the ship. The SEEKER project has the first certified plastic AM parts in actual space. Both the Seeker robots will have Additive Manufactured parts made by TTH with the Carbon DLS (Digital Light Synthesis) to process on M2 machines in CE 221 Cyanate Ester material. There are four components that were 3D printed in Carbon’s DLS technology at TTH. These components are part of the cold-gas propulsion system used to thrust Seeker and Kenobi in space to navigate and inspect spacecraft. All parts could only be made with 3D printing in order to allow the internal channels to work most optimally, while reducing weight and area in the assembly. The CE 221 material permits the parts to be used in space due to the strength, accuracy and temperature allowances. The internal channels were critical to produce parts with high accuracy to ensure thrust and flight was streamlined with design that could not be made any other way. These Seeker robots launched to the International Space Station on Northrup Grummen’s Cygnus 11 from Wallops Island, Virginia on Wednesday April 17th at 4:46pm. TTH applies many of the same engineering, design, model-making, and production skills we use in creating detailed prototypes to producing a growing line of scale models of aircraft and sea-going vessels and display items. They’re popular choices as retirement mementos and collectors’ items, for home and office décor, and as versatile show models, sales tools, and new concept displays in the boating and defense industries. Artisans have used pewter, a tin-copper alloy, for millennia to create both decorative and utilitarian objects. Its soft, malleable nature makes it a natural for creating detailed, highly accurate models of ships, aircraft, buildings, etc. We cast a wide range of models and display items in high quality, lead-free pewter, creating all designs, master models, and tooling in house. The spin-casting process we employ allows us to create these pewter items quickly and efficiently. We add new items to our cast pewter line frequently and we can create custom items to order, such as commemorative coins, plaques, or cast pewter coasters designed and finished with your company logo and colors for use as business gifts. We can also personalize your cast pewter objects with wooden bases and custom-engraved placards. Bulk discount rates are available for larger orders. In a competitive industry like architectural design, the success of a project sometimes depends on the ability to present a new concept to a client in a visually impactful way. Traditional model-makers can require weeks, even months, to create a detailed scale model, and the cost can be prohibitive. But it doesn’t have to be that way. Using the same high-speed stereolithography tools we use to create prototypes, Gear Precision Models can deliver a finished architectural model, ready for display, discussion, and redesign in as little as three days. Our model design team will work with you throughout the process to ensure the finished model meets your needs without blowing your budget. Depending on the project, we can build models in a single piece or in sections, with removable roofs and floors, to show interior details. The high-resolution stereolithography process allows reproducing fine details like handrails and window trim accurately. If desired, pieces such as furniture, cabinets, and appliances, can be removable to allow greater design freedom. We can also finish models with a smooth surface or paint them to convey the proposed building concept. Some of us learn by simply reading from a textbook, others learn by hearing directions aloud, but many of us learn from hands-on exposure to a task or concept presented to us. The Technology House (TTH) teamed up with Cleveland-based medical start-up company Centerline Biomedical, Inc. to aid in their demonstration and explanation of their product and its value. Centerline Biomedical, Inc. is commercializing a novel surgical navigation technology aimed at vastly improving the precision, safety, and control in minimally invasive endovascular procedures. Today, when a patient receives a stent or stent-graft, surgeons use X-ray fluoroscopy for navigation, which provides a poor form of visualization and subjects patients and caregivers to dangerous ionizing radiation. Centerline’s IOPS technology is designed to give surgeons high resolution color 3D imaging without using ionizing radiation. Essential to the success of a young high-tech start-up is the ability to demonstrate the technology to potential investors, customers and other stakeholders, and Centerline looked to The Technology House to fulfill their need of a portable and rugged version of their technology and demonstration pieces. With their 22-year history in creating rapid prototype models for demonstrations, The Technology House was able to provide insight and information to Centerline Biomedical, Inc.
Centerline Biomedical envisions these demo prototypes eventually leading to product lines for training and educational use. After reviewing Centerline’s requirements and the 3D CAD file, one of our Project Managers met with our Additive Engineers and decided the best solution was to section the file to 3D print in the Stereolithography (SLA) technology of high resolution, accuracy, easy of finish, paint, and assembly. Using the Magics Software by Materialise, our Additive Engineers were able to bring in the provided 3D CAD file and make customized part breaks that allowed for the best parts to build, finish, paint and assemble. After sectioning the files, we were able to orientate and add supports as needed, which allowed us to layout the part perfectly on our 20’’ x 20’’ build platforms. Parts were then built by a UV laser tracing the part images layer by layer, or “slicing” the part at .005’’ increments, over and over until the build was complete. Parts were ready for the next steps in 1 business day. Once the parts finished printing, they went through a standard cleanup which includes: support removal, wash and UV oven cure. Parts are then lightly sanded to remove any support remnants and sand blasted. This is the standard SLA part finish. To prep a part for painting (or as we call it, a Paint Ready Finish), the parts are sanded to remove all the build layer lines. For the clear part, we wet sand the part because the clear shows imperfections such as scratches that then require post-paint buffing. From there any non-clear parts are primed and ready for paint. For paint, we had three total parts. By painting the parts separately, it improved the overall process and look of the parts because we did not have to hand mask the model multiple times. If you have ever painted your home, you know this is the toughest and most tedious part of painting and it never comes out perfect the first time. The base was painted gray. The keypad was painted white. Both received a light texture to hide any small imperfections. The main aorta part needed to be painted clear with a red tint, not an easy task, but using our in-house custom color match system, we were able to customize a red tint clear paint. This allowed the parts to be red, but also see-through when used for demonstrations. After drying the aorta part was buffed and all parts were ready for next step. After all the parts were painted, the parts needed to be re-assembled together into a finished model. When sectioning the parts in the Magics software, we were able to add tolerance for the superglue leaving room for the parts to assemble perfectly without a big mess of excess glue. The last step was to ensure the parts held up from demo to demo when shipped across the world. To do this, we used the CAD file to custom cut foam inserts that would fit into a box. This allowed ease of packaging and confidence that the part would show up perfect every time. In the end, Centerline’s model is what we do at TTH every day. Our Project Managers and Engineering Team work together with customers to fully understand requirements of the project and even offer new solutions from our diverse in-house services, to exceed customer expectations. Join us at ADM Cleveland 2018 in booth 602. Use our promo code SPECIAL for a FREE expo pass! Engineers and executives who use or are interested in contract manufacturing services like 3D printing, additive manufacturing, injection molding and CNC machining in key industries such as automotive, medtech, aerospace, robotics, automation, plastics, packaging, and design technology. The conference will have interactive events and exhibits for people of all skill levels. Of course! We will be exhibiting at the conference at booth #602. 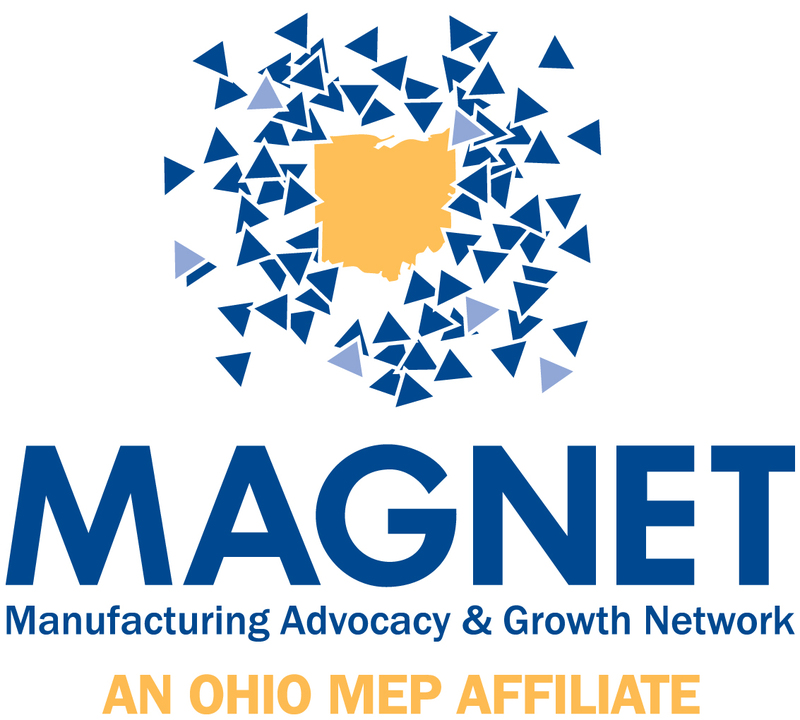 Be sure to stop by to see how we are using innovative contract manufacturing technologies that pair 3D printing and additive manufacturing with traditional injection molding and CNC machining. Also, we will have plenty of free giveaways. This panel, also including Jack Heslin (3D Tech Talks), Dave Pierson (MAGNET) and Tracy Albers (Rapid Prototype and Manufacturing LLC), will explore how to leverage the shifts in smart manufacturing dynamics resulting from 3D printing, how to manage throughput when frequently changing out materials; and how to scale up efficiently without sacrificing quality, new materials, new possibilities, and new processes. Users know what 3D printing can do for them but now they are looking to save money on materials and usage costs while maintaining the “wow” factor of what they are creating. New 3D printers and technologies can create shapes that haven’t existed before, as well as lighter objects that don’t sacrifice strength. You will hear about applications that are solving industry issues by taking advantage of the Carbon Digital Light Synthesis process and materials to produce production quality components without traditional tooling or manufacturing processes. What is the Additive Manufacturing in Motion Symposium? This premier additive manufacturing event for the mobility industry is your chance to hear from technical experts in automobile and aerospace OEMs and Tier 1 and 2 suppliers, as well as experts from government and academia. You’ll learn about the needs, research, development activities and solutions that will help maximize the benefits of additive manufacturing. Manufacturing engineers, business development professionals, research engineers, design engineers, product engineers, system design engineers, researchers and academia who are looking from more information regarding the value, ROI, development and next generation of additive manufacturing technology. Of course! We will be exhibiting at the conference at booth #102. Be sure to stop by to see firsthand the innovation and benefits of 3D printing and additive manufacturing. Also, we will have plenty of free giveaways. 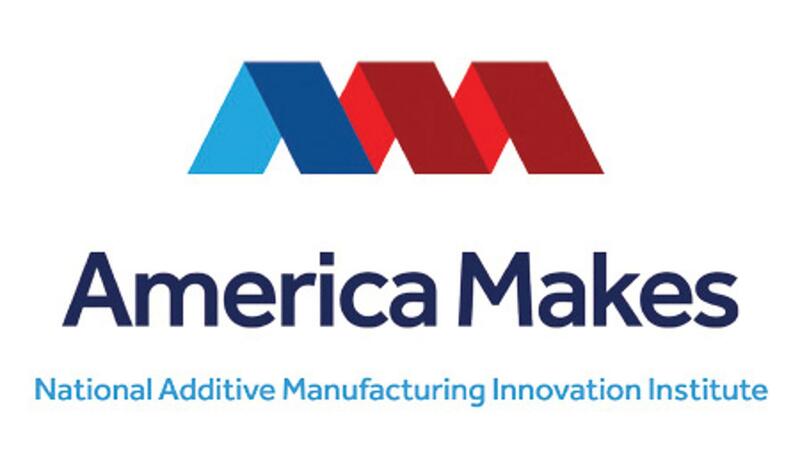 In addition, Mark Horner, VP of Business Development, will be presenting a session explaining applications that are solving industry issues by taking advantage of the Carbon Digital Light Synthesis process and materials to produce production quality components without traditional tooling or manufacturing processes.